These are the hardest words I’ve ever written. But I’ve put it off for way too long. 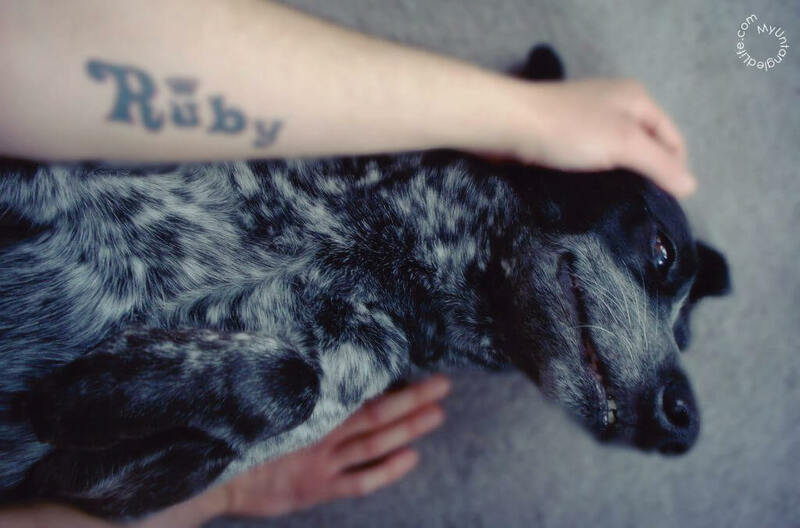 It’s impossible to believe that almost one entire year has passed since Ruby passed. All dogs go too soon, that’s a fact. In contrast, we humans like to cling onto the data about our ever-increasing lifespans. But none of us are promised anything in this world. One of the lessons that dogs are here to teach us is the fact that life is short. And it’s best lived when you’re happy being the real you, truly showing up to enjoy the simplest moments while wagging your tail all along the way. Ruby loved his life. Sharing my life with him, taking care of him, and growing old with him remains the single greatest gift I have ever received. But, dear readers, this post is not about tissue boxes and sympathy cards. 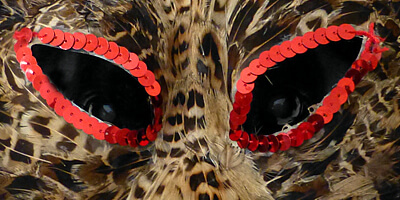 Last year on his rebirthday, I hinted at something big he and I were working on together. I’ve been working on it all this time, and I’m coming to you now with a heartfelt request to help me continue to honor Ruby’s life. Based on the thousands of comments, shares, likes, and pins, you may already know that his Ruby Stewbie has literally saved the lives of more diabetic dogs than we’ll ever realize. But his legacy very much lives on in other ways. Early on in his blogging career, Ruby caught scent of the power of the Internet. He spoke mainly through haiku and pictures where his mom dressed him up in silly costumes. He truly loved his global pack, and it continues to grow in his honor through Friends Of Ruby. Friends Of Ruby stands FOR the rescue that saved him from certain death in West Virginia, and drove him to a no-kill shelter in Massachusetts. And FOR the volunteers that guard and guide the new lives of thousands of sea turtles. 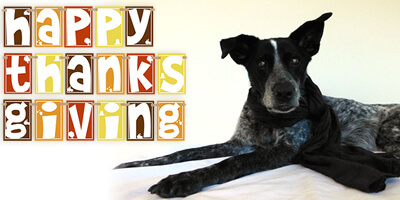 And FOR the doctors that provide charitable spaying and neutering services. And FOR the countless others out there who can raise awareness and money through an increased web presence. 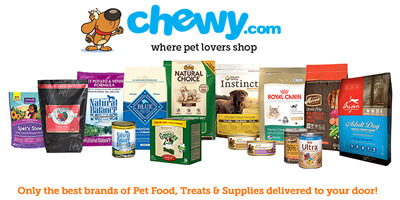 Do you know of an animal rescue or charity that needs help online? 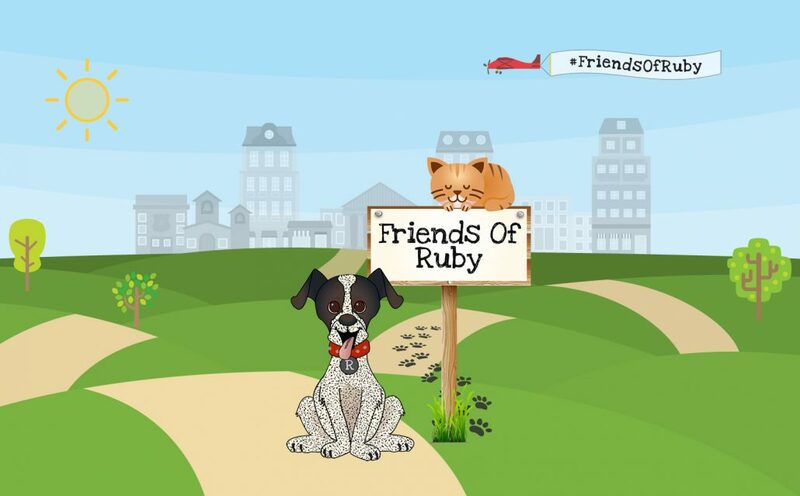 From initial consultation, through design and development, continuing with ongoing hosting and support, everything is taken care of when your organization is a Friend Of Ruby. And every year presents a new chance to win. 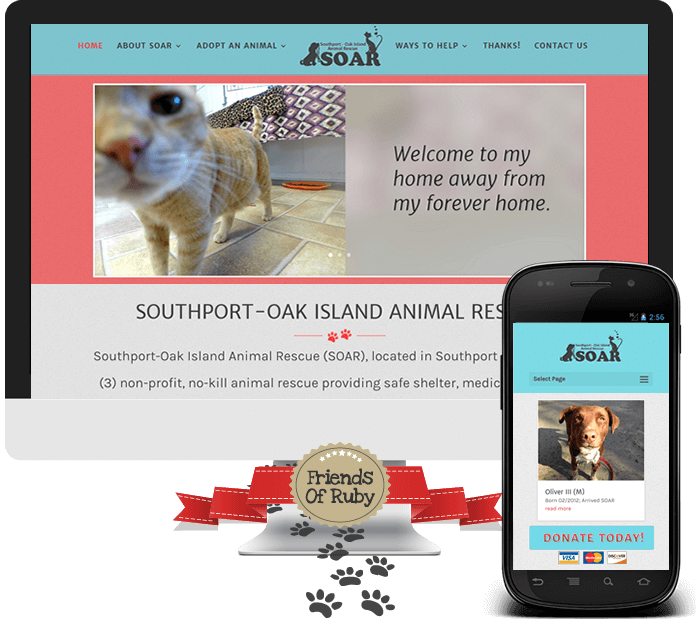 The inaugural recipient of the Friends Of Ruby Website Award, Southport-Oak Island Animal Rescue (SOAR) is a 501(c)(3) non-profit, no-kill animal rescue for dogs and cats based out of Southeastern North Carolina. We hear the animals are quite protective of their new online home, and they should be. 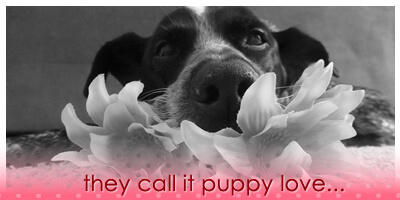 The new website is super cute, the volunteers are always adding fresh content, it’s mobile friendly, and it’s also doing fantastic in Google searches for local terms involving animal adoption, rescue, shelter, etc. As I slowly lean into step one of the stages of grief, I’m excited to take another baby step toward building this charity into something truly amazing. 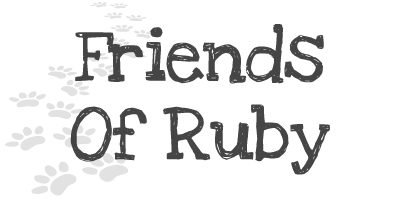 Thank you for helping to spread the word about Friends Of Ruby! And no, I’m not adopting another dog right now. But believe me, you’ll see the pictures when it does happen again in the future. In the meantime, I’m grateful just to pick myself up, brush my blog off, and start all over again. After all, the world’s hardest working bloggin’ dog will always be keeping an eye on me.